Debra Schuster is an elder law attorney with the Paule, Camazine & Blumenthal firm in Clayton. She will be availabe to answer questions about the financial impact of living with and caring for someone with dementia. She can answer questions about issues such as estate planning, power of attorney, creating a trust, health insurance, protection against fraud and long-term care costs. The chat will start at noon on Tuesday, Oct. 2. Read the article "Tight budgets and drained savings." I've read a lot about people who defraud people who are elderly or have dementia. What are the most common types of fraud of the elderly? How can families help protect their loved ones. Good afternooon. Thank you for reading Michele Munoz's excellent series on the struggles of an individual and family living with dementia. I will respond to as many emails as I can in this hour, but my responses are general in nature and are not legal advice, as everyone's situation is unique and fact specific. Could you talk a little about what assets you can have and still qualify for Medicaid and how married couples can deal with this issue to protect the spouse who isn't affected by dementia? Dear Jean, The most common types of fraud and financial exploitation of the elderly occur by individuals appointed under Durable Powers of Attorney for Financial Matters and Trusts. Therefore, carefully choosing the individuals to serve in these roles is extremely important. Appointing someone who is financially secure themselves, detail-oriented, has the time to devote to the financial needs of the individual are essential. About power of attorney - how does one take over the bill paying and financial responsibilities. Does one need to contact a lawyer about activating the POA so he or she can take over the financial duties? Jack, Krause Financial Services is a company that provides annuities that qualify for Medicaid asset protection. If you google their website,they have a resource for the public that identifies each state's asset and income eligibility criteria. what website lists the assets you can have and still qualify for Medicaid by state? Jack, Regarding your question About power of attorney - The document usually contains language about when the document is effective - usually when a one or two physicians certify that the individual who created the document is unable to make health care or financial decisions. If that language is in the document, you will need to get a letter from that person's physician and attach it to the Durable Power of Attorney to enable the appointed agent to act. An attorney is not needed to enable an agent to act. I live in Jefferson County, can you tell me how to find an attorney in my area that specializes in Elder Law, and what questions, I should ask when interviewing a lawyer for services? Michele, To find an elder law attorney in any area, the National Academy of Elder Law Attorneys's website, www.naela.org, has an attorney locator by state and city. When interviewing an attorney, one should ask how long someone has been practicing exclusively in the area of elder law, what services they provide - if someone is seeking a specific area of practice, such as Medicaid planning/applying for Medicaid, how many applications has the attorney handled and what is their success rate in obtaining benefits for clients. I recommend asking what professional organizations they belong to and contacting the local Alzheimer's Association, as all have attorney referral lists. It can be very confusing to determine if someone is showing signs/behaviors associated with dementia. Dementia is a general category that includes many diagnoses, some of which are medical, rather than neurological, in nature. Making an appointment with the individual's primary care physician first to rule out possible medical conditions that may have symptoms that present with dementia-like symptoms is best and then if no medical condition is found, to make an appointment with a geriatric specialist or neurologist that specializes in geriatrics is the next step for more extensive testing. The Alzheimer's Association and local medical societies have lists of geriatric specialists and neurologists, as well listings that are available on the websites of most major medical centers. Under what circumstances should an irrevocable trust be considered to protect a home from both VA and Medicaid? 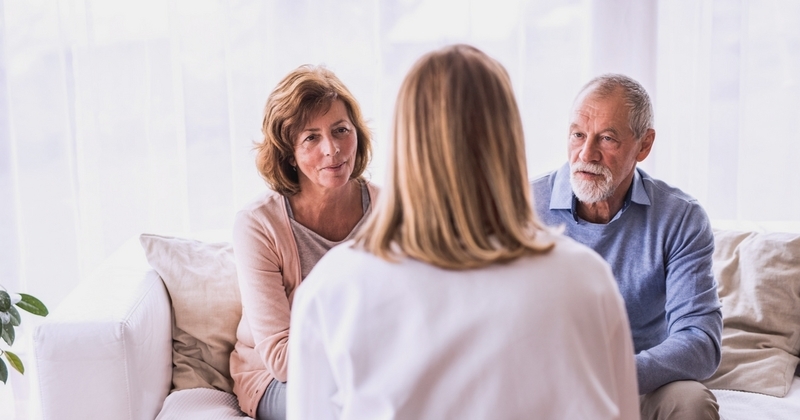 Carol, An Irrevocable Trust is an estate planning tool that should be discussed with an experienced elder law attorney if it is being considered for V.A. benefit and/or Medicaid planning, as it is essential that the attorney know the complex laws governing the creation of these trusts and what the asset transfer rules are with respect to these benefit programs. is there a good list of tips on preventing falls or check list how to keep the house safe? what web site can quickly tell us if the parent might qualify for disability? The Alzheimer's Association has excellent resources for fall prevention and keeping the home safe when caring for an person who has dementia at home. In St. Louis, Memory Care Home Solutions, which can be found on the web at https://memorycarehs.org/, is a tremendous organization that focuses on assisting family caregivers and how to make the home safe and reduce caregiver stress. They offer free home visits and numerous caregiver resources to reduce ER visits, hospitalization and community resources for adult day care and other services. Father-in-law is a Vet - where can he get help from the Veterans Adm? For assistance with V.A. 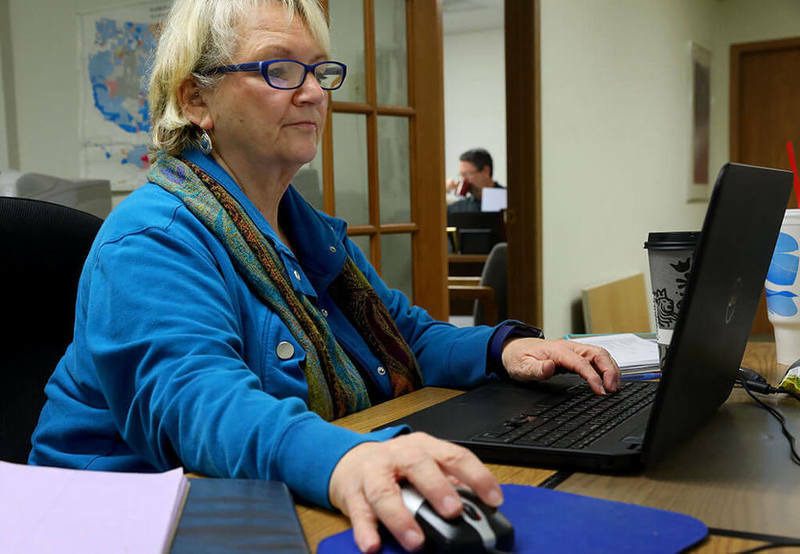 benefits available for individuals who need skilled care for dementia, Veteran Service Organization (VSOs), many elder law attorneys, and the VA website, www.va.gov , provide assistance and represent individuals seeking V.A. benefits for veterans and their spouses who have dementia or need benefits to pay for qualifying medical services. Hi, my Mom was diagnosed with Alzheimer's in November and stayed with me until I finally moved into her place. It has all been quite overwhelming. I have POA now for financial and medical. And I am in the process of getting my name on her deed as caregiver/child agreement. I don't want her to lose any of her assets to Medicaid. I did get her signed up for Medicaid, but the spend down is so expensive, I don't have enough money for her to use it. Even with her doctor's bills and prescriptions, I can not get to the spend down for it. So I work full time, and I don't have anyone to care for her during the day. Adult Day Care and/or in home help is so expensive, and my mom has no savings, 401K, retirement or anything. No Trust, living will, nothing...she lived paycheck to paycheck. And now all she gets is Social Security, and Medicaid says that she makes too much on that. It just seems like there is no light at the end of the tunnel. Carla, I empathize with what you and your mother are going through. If your mother needs skilled care at home, in Missouri, she may qualify for the Home and Community Based Waiver program through Medicaid (MO Health Net), which is a different program than it sounds your mother is participating in. I recommend you contact an elder law attorney to discuss this further. I'm hearing horror stories about unscrupulous advisors and attorneys taking advantage of people with dementia. Can you explain how to best choose someone? What signs or red flags families should be aware of? And is there a way to report or hold accountable those bad apples so others are not taken advantage of? lists attorneys by state and city that provide legal and care management services to clients. SeniorAdvisor.com BlogA financial advisor can help you create a long-term financial plan and guide your spending each month to achieve it. Read these tips to find an advisor for you. To report a attorney that you believe has taken advantage of an elderly person, the State Bar Association has a complaint procedure, as well as the State Supreme Court, which conducts investigations and conducts disciplinary proceedings based on verified complaints. What is a good app to use to find cost of nursing home, assist. living by location? For those who would like to hear more on these issues, listen to our podcast in which Debra Schuster and Michele Munz discuss financial issues. 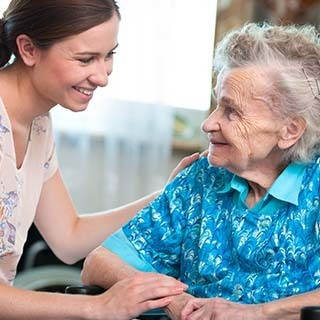 National Institute on AgingLearn about facility-based long-term care services, including assisted living, nursing homes, continuing care retirement communities, and other residential facilities. provides information about the services provided by assisted living and nursing facilities and has an excellent list of specific websites to obtain quality of care information. Additionally, Medicare.gov has a nursing home compare tool that provides quality of care ratings. Every county has a Area Agency on Aging that is an excellent resource for information about residential care options, meals on wheels, tax credits and professionals that can assist in health care and financial matters. The Aging Life Care Association, /www.aginglifecare.org, is an excellent resource for finding certified geriatric care managers and social workers with expertise in a broad spectrum of elder issues. I found the site, but it says that the maximum amount a month is $1311 and her social security is more than that. :( Here social security pays all of her bills and she has about $400 left over each month to live off of, and Medicaid is $520 a month. It just seems like there is no solution. And some of her medical bills that she has accrued are huge too. Carla, The MO Health Net website provides general information about the various Medicaid programs. For specific guidance, I recommend speaking with an elder law attorney that can give you advice specific to your situation. Thank you all for your questions! Michele Munoz has given the website to listen to the podcast that I recorded with Michele that provides additional information that may address many of your questions. Thanks to everyone for joining! You can read the rest of the Stolen Future articles here. For those who can't get the podcast link below to work, it's in this article as well.